After what seemed to be an endless winter here on the east coast, SWD was finally able to kickoff both their Pro-Am and Amateur series this past weekend at Metrolina Expo in Charlotte NC. A lot of this year’s Pro-Am competitors were in attendance to complete tech and shakedown their cars for the 2014 season. 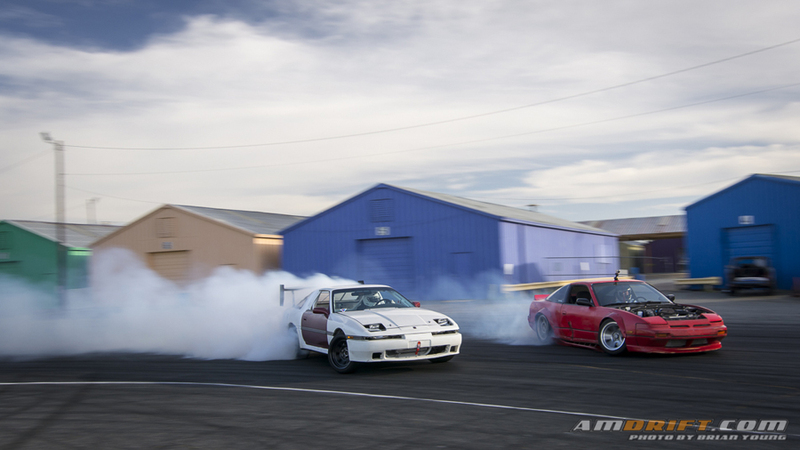 Even though this wasn’t a points earning Pro-Am event, the majority of drivers took to the track to make smoke with some local and regional Am drivers. 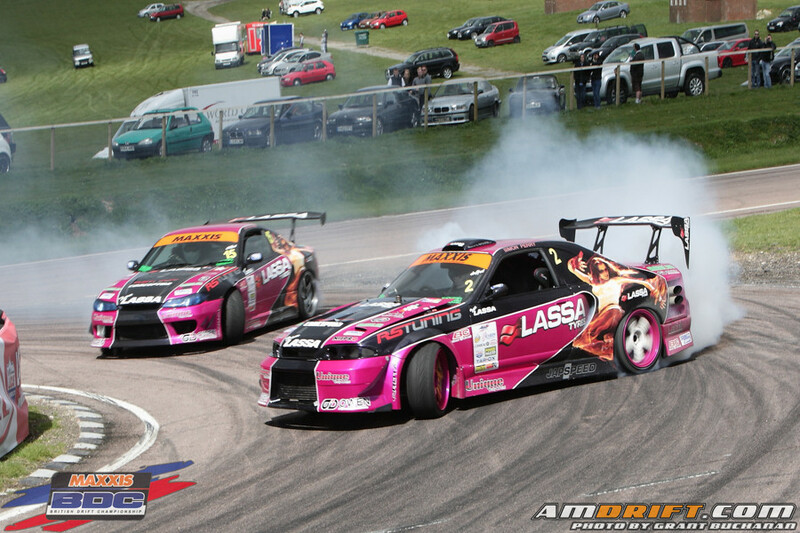 Our friend Grant Buchanan was on hand to cover Round 1 of the Maxxis British Drift Championship. Check out his video and an assortment of photos from the event! 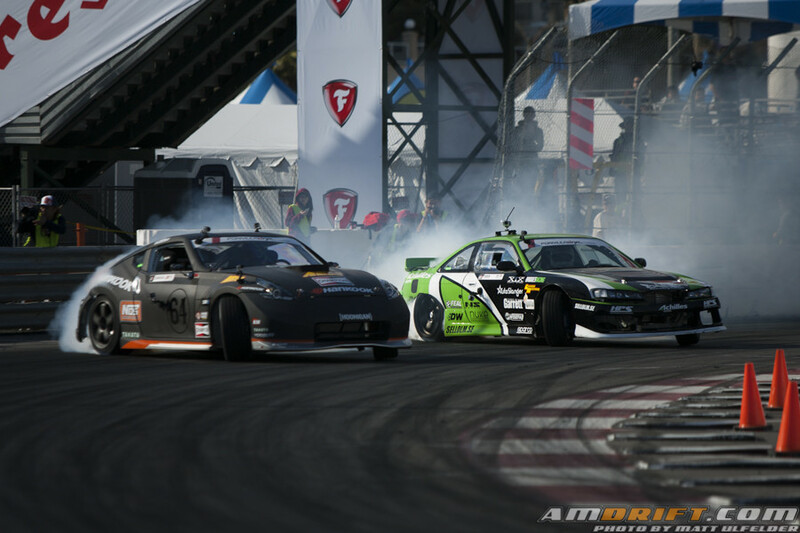 Check out our AmDrift.com 2014 FD Long Beach Round 1 video by Jesse Wood, hosted by Jonathan Velasquez. Like it and share. Thanks for the support! 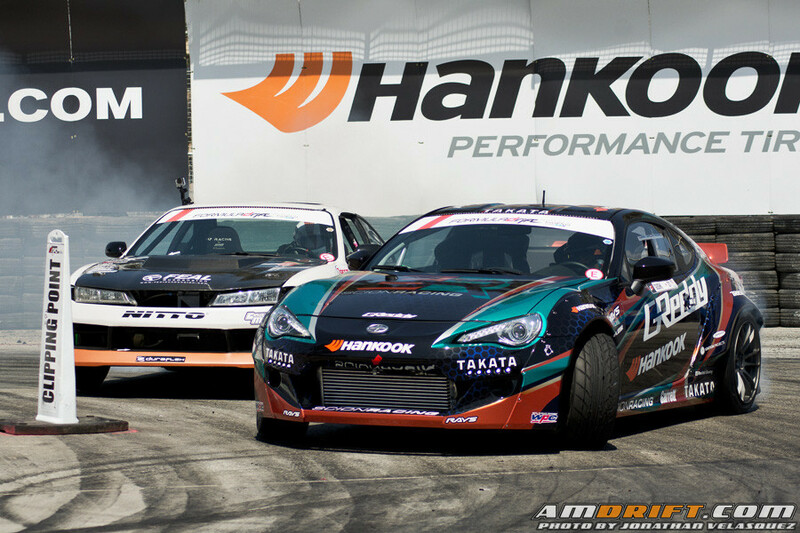 $25,000, thats a lot of money, and Motegi Racing would award it to the winner of the Motegi Racing Super Drift Challenge in the after hours of the second day of the Long Beach Grand Prix, on the same portion of track that Formula Drift used the weekend before. For $25,000, even we thought about drifting so we could have a chance! The Motegi Racing Super Drift Challenge was invite only, which dashed our dreams of being newbie heroes. As promised, we continue our “competition to podium” play by play coverage of Formula Drift Round 1, “The Streets of Long Beach”. We left you at the end of Top 32 before the break in our first article, so now we will get into Top 16. After a day of wall bashing qualifying fun, the Top 32 had been set. Drivers were bracketed against other drivers they fear, or ones they would undoubtedly trample in a wall of smoke. Competition day was bound to be full of awkward excitement, due to Formula Drift’s new rules for the 2014 season, such as no battle for 3rd place, no protest until the Great 8, and many other rules that left fans scratching and shaking their heads. Nonetheless, the fans still showed up.